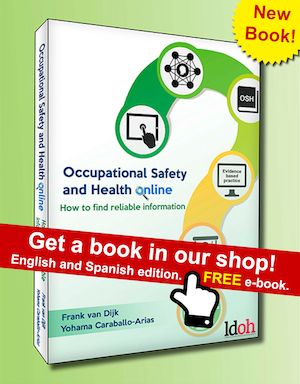 Dive into the library of online and blended lessons, modules and courses in Occupational Safety and Health from all over the world. It is this website that collects, selects and organizes the learning materials that are available on the Internet free of charge or for low prices, mostly presented by public or nonprofit organizations. In this way we try to contribute in meeting the huge global demand for adequate education and training to improve safety and health at work. You can help us and so help others in their struggle for better work and health, by pointing us to appropriate online learning materials. If you want to support this library of education in another way, please contact us.